Fredika is a 12-story high-rise which will be built close to the Tripla shopping center and Pasila train station. In Fredika, you can choose a home with a large glassed-in balcony to the courtyard or a French balcony towards the shopping center. The high floor-to-ceiling windows maximize the light. The design of the apartments makes it possible to join apartments together. Fredika is a 12-story high-rise which will be built close to the Tripla shopping center and Pasila train station. In Fredika, you can choose a home with a large glassed-in balcony to the courtyard or a French balcony towards the shopping center. 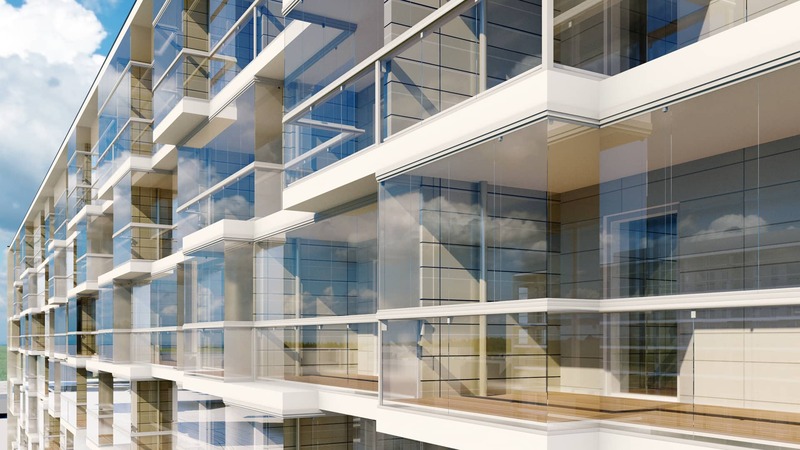 The high floor-to-ceiling windows maximize the light. The design of the apartments makes it possible to join apartments together. Free for the residents to use is, for instance, townhouse Greija, the functions of which will be designed based on an inquiry sent to the residents. Fredika is estimated to be ready on 31.12.2019. The four housing cooperatives in the area (434 apartments altogether) have a joined licence for parking spaces (196 pcs) in the Tripla shopping centre parking garage on levels P4-P5 according to the city plan's parking space standard. Each housing cooperative has a 1/4 share of the parking spaces. All spaces are rental. The guest parking spaces (28 pcs) are located on levels P1-P3 of the parking facility. The four housing cooperatives in the area (434 apartments altogether) have a joined licence for parking spaces (196 pcs) in the Tripla shopping centre parking garage on levels P4-P5 according to the city plan's parking space standard. Loan period 25 years, of which for the first two years you pay interest only.